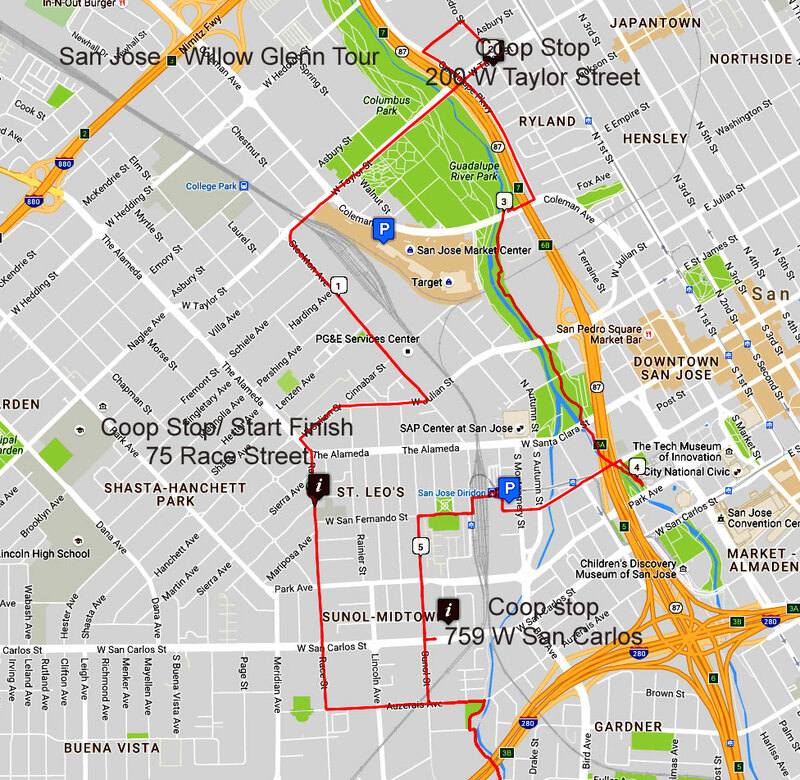 This tour consists of 7 coop stops, 13.5 miles and very flat. It has some unique section of bike trail and other sections of some traffic areas with bike lanes. It has schools with coops, community gardens, backyard coops and local shop that specializes in Chicken and Bee supplies. 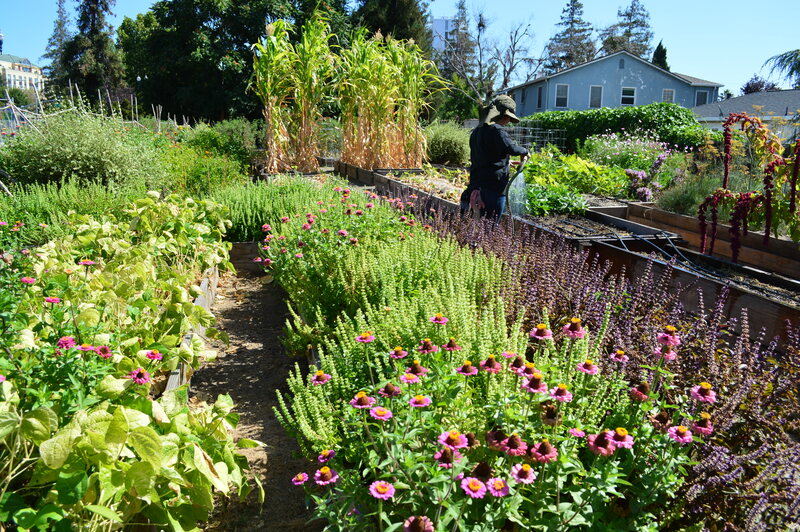 It starts and finishes at Middlebrook Community Garden on Race Street in San Jose. 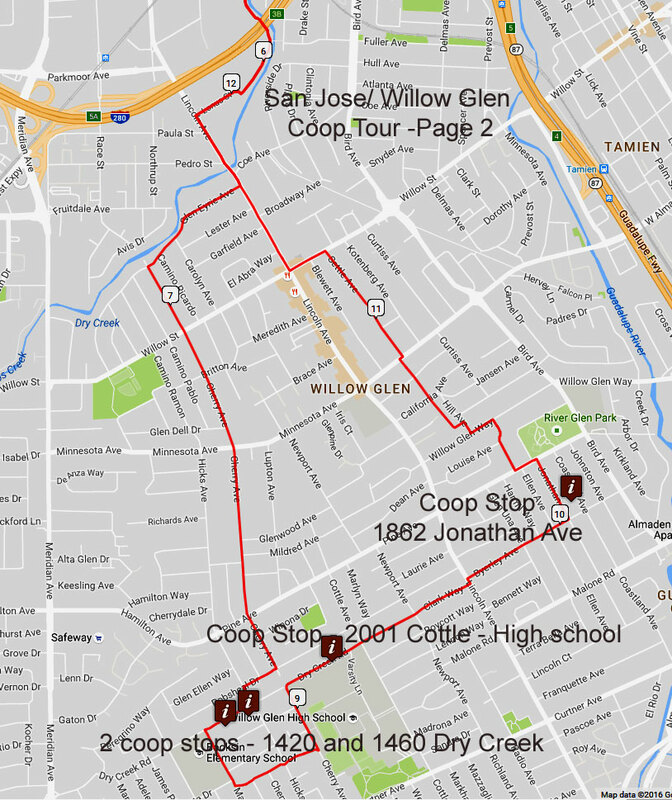 It uses a bike trail to get under Interstate 280 to get between downtown San Jose area and Willow Glen.